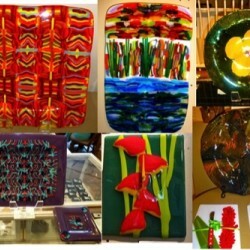 Artists Sandy and Bob Lercari have created a wide variety of fused glass art with an emphasis on functionality and color. 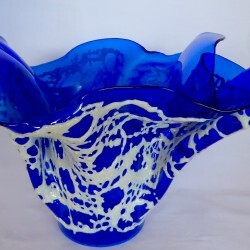 They use several techniques to create their pieces and are always experimenting and exploring new approaches to expand their creativity. 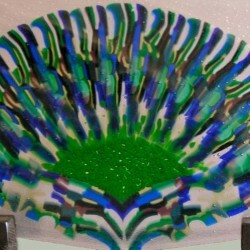 Techniques include Mosaics, Pattern Bars, Drop Pots, Baskets and Bubble Glass. A brief explanation of each of the techniques/process (except for Bubble Glass, which is proprietary) is found below. 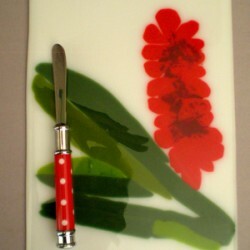 The buttons to the left will lead you to sample pieces of functional glass art. 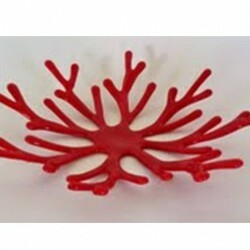 These include Bowls and Platters, Clocks and Cheese Plates , Coral Inspired and Carousel Baskets, Wall Hangings and Sculptures. There are also buttons for Vases and two future items (Mirrors and Lighting) which are expected to be released in the near future. 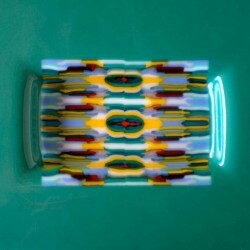 In the interest of reducing our inventory, all glass pieces in inventory are currently being offered at wholesale and below prices.